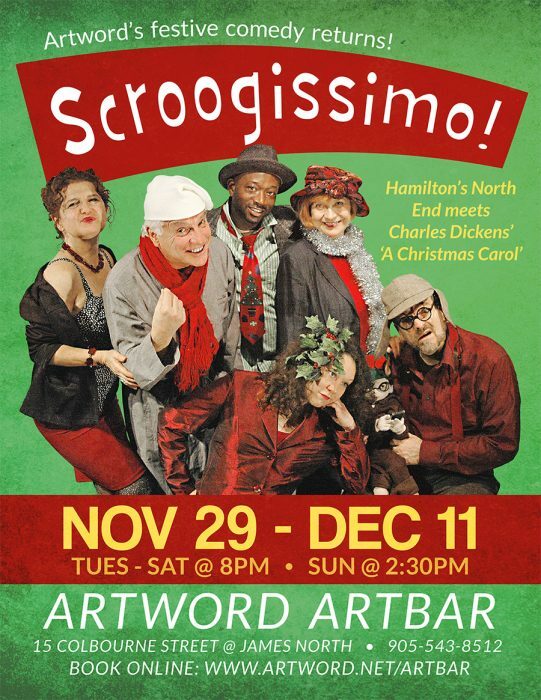 Artword Theatre’s delightful Christmas comedy Scroogissimo returns for a third time to Artword Artbar. Hamilton’s North End meets Charles Dickens in a wacky script by Ryan Sero and Charly Chiarelli, directed by Ronald Weihs. With the original cast! A sell-out hit in 2013 and 2014, Scroogissimo features Charly as “Ebenezu Scroogi”, a Christmas-hating old Hamiltonian from Racalmuto, Sicily, who finds himself haunted by three ghosts of the Past, Present and Future. 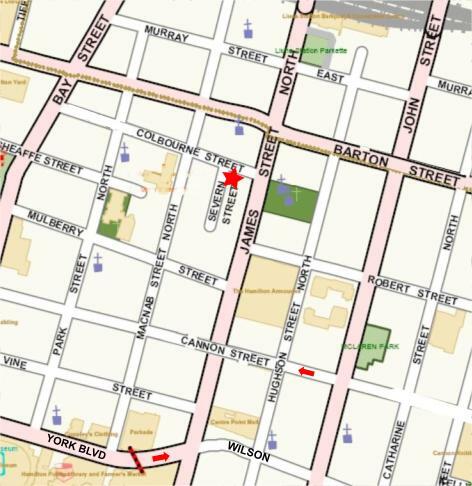 Scroogissimo is performed by Charly Chiarelli, Pamela Gardner, Paula Grove, Valeri Kay, Jon-Gordon Odegaard, and Jay Shand. Musical support for Scroogissimo is provided by Tim Nijenhuis (keyboard), leader of the blues trio Beg to Differ.